The Sandcastle brims with family fun. Splash in our sparkling pool. Connect to books or the Internet. Get fit with weights or energetic group classes. Or melt into lounge chair bliss. 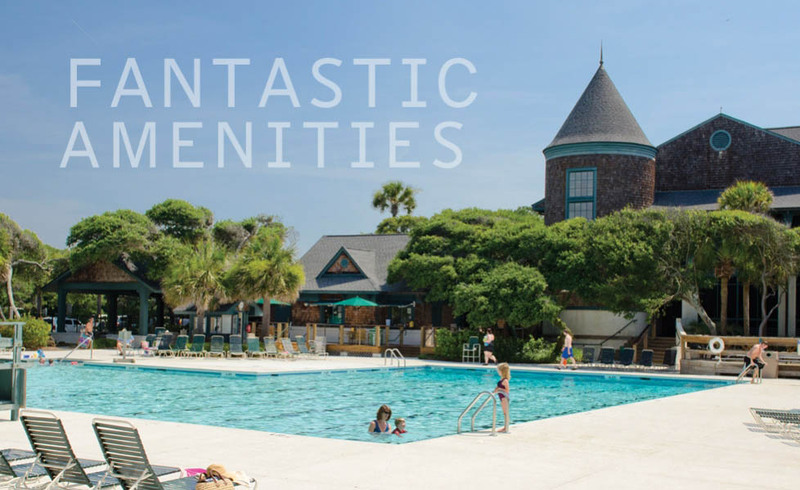 All homeowners may reserve rooms in the 11,700-square-foot Kiawah Sandcastle for special events, relax in the lounge, and attend wellness seminars, classes, and social events. Three upstairs banquet rooms accommodate parties ranging from 10 to 180.